Most Americans can quickly name the most famous wine regions of France including Bordeaux, Burgundy and Champagne due to the popularity of the wines, and the relatively easy-to-learn scope of selections from these regions. Burgundy has Pinot Noir & Chardonnay. Bordeaux has Cabernet and Merlot. Champagne sparkles. 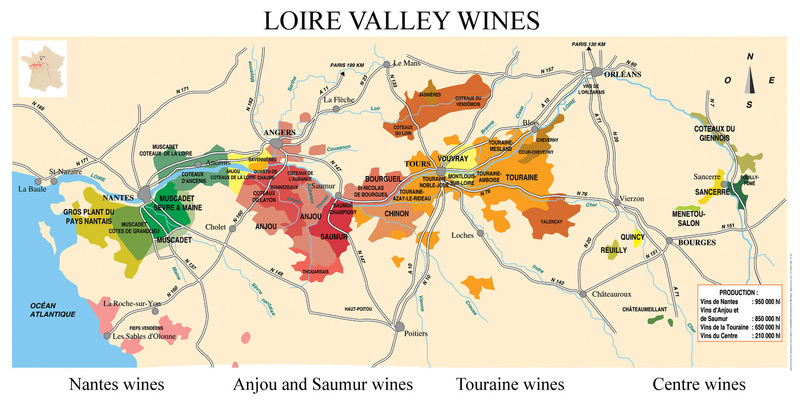 The Loire Valley produces a much wider variety of wines and is less able to be memorized and categorized easily. The most diverse and vast wine region in France is the Loire Valley, beginning north of Bordeaux on the mid-west coast of the country and passing south of Paris almost to Burgundy in the East. 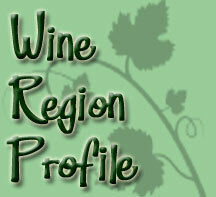 Virtually all types of wine are made here, including sparkling, still, sweet, dry, red, white & rosé. 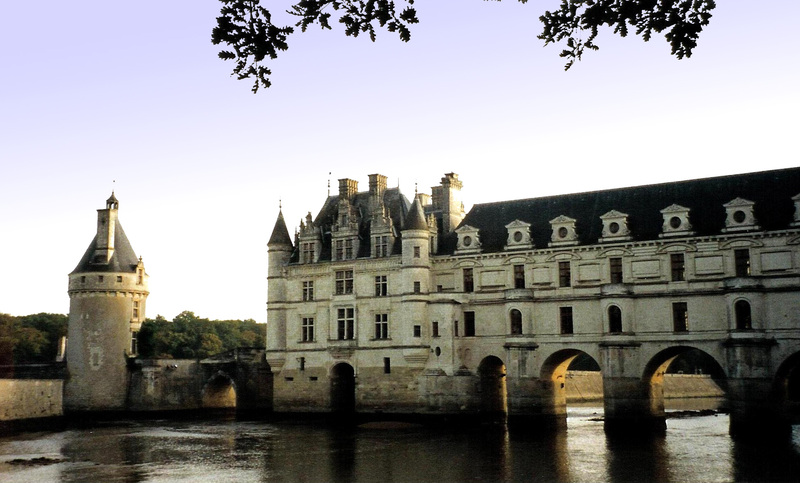 The Loire Valley is most known for the excellent Sauvignon Blanc and Chenin Blanc wines produced under the appellation names of Vouvray, Pouilly Fumé and Sancerre. Extraordinary dry Muscadet wines (made from Melon de Bougogne grapes not related to the grape named Muscat) are also produced here. The Loire River, France’s longest, defines the valley where these grapes are grown with the northern latitude defining a cooler climate. In warmer years, the conditions allow for wines of incredible definition, elegance, and “haunting precision” balance of high acidity and dynamic fruit flavors. In cooler years, winemakers controversially practice “Chaptalization”, adding in beet or cane sugars to make up for the sugars missing from short-season unripe fruits. Top producers will use this technique sparingly, but it is allowed in several French regions including the Loire. Sauvignon Blanc is the sole grape of both Pouilly-Fumé and Sancerre. Producers in these appellations are maniacal about producing racy, vibrant, focused wines with smoky hints beside precision crispness and acidity. Their wines are perfect matches with all seafood and pasta dishes. Amazingly, in France when describing the bouquet of these fine wines, the term “cat pee” can be used favorably! Used in context with Sauvignon Blanc, it refers to the wild and tangy aromas. When paired with scallops or crab, a great Sauv Blanc will taste delicious. Vouvray’s wines are 100% Chenin Blanc, and are classified into four levels of sweetness: Sec (dry), Demi-Sec (off-dry), Moelleux (sweet) and Doux (syrupy sweet). Although most Vouvray wines are inexpensive, flavorful and bulk-produced, a good quality Vouvray can be so excellently balanced with acidity & residual sweetness that aging of 50 years or more is possible. Try a nice Vouvray with your next cheesy meal (fondue?) or with shellfish. Cabernet Franc grapes make most red wines of the Loire, producing fine wines under the appellations of Saumur-Champigny and Chinon. These wines are matches for spicy light dishes such as fish and chicken.